If you’re coming from the PR side, you’re used to working with editorial content, and calling up or emailing journalists to place stories about products and services you represent. You would never think to compensate those journalists, and even if you did send product samples you often get them back. And your budget does not extend into payments for anything editorially related; you may have budget for events or stunts, but not for paying people to evangelize your brand. Why this works in “old media”: Journalists are paid by their publications (whether they’re paper or online), and the publications monetize based on subscriptions and ad revenue. The two are, in theory, held (more or less) strictly separate (more on that below). Why this doesn’t work for bloggers: Bloggers don’t have “publications” paying them, they are the publications. Some are monetizing their site via advertising, others are not. Those that have worked hard to build up their readerships to a level where they’re valuable to a brand have probably done most of it uncompensated. They therefore often (but not always) want to find ways to generate revenue from their blogs/sites. If you’re an advertising or media buying person, you’ve got a budget. You’re used to finding places to put your ads and paying those places to take them. So now you want to attract niche demographics, like moms, to your brand, and so you assume you can just pay bloggers with those readerships to get the exposure you’re looking for. While you don’t necessarily expect editorial coverage to accompany your ads, in practice there is absolutely an unwritten code that makes it more likely that a publication (particularly magazines) will cover your product if you’re advertising frequently. Why this works in “old media”: It’s a pretty simple equation. Advertisers want to put their product in front of people who will care about it, and publishers have space to sell, online or off. And hey, if it does encourage editorial coverage here and there, all the better. Why this doesn’t work for bloggers: Marketers and advertisers are now more than willing to compensate bloggers for product reviews, as if they were just another ad buy – whether that compensation is in cash or product. This is complex territory all around, clouding the notion of what a product review is (or at least should be). Bloggers who remain editorially neutral and/or provide full disclosures may not be as attractive to advertisers who want their reviews to look as organic as possible. Additionally, although many bloggers do take paid advertising, as a persistent online publication it’s more difficult to straddle the line between advertising and editorial. What if you really love a product and write about it one week, then the brand offers you advertising dollars the next? That post lives forever and may be featured alongside that advertising, murking up the waters of integrity. No doubt this debate will continue, as marketers need to break out of their “old media’ models and bloggers further assert themselves as hardworking assets to brands. 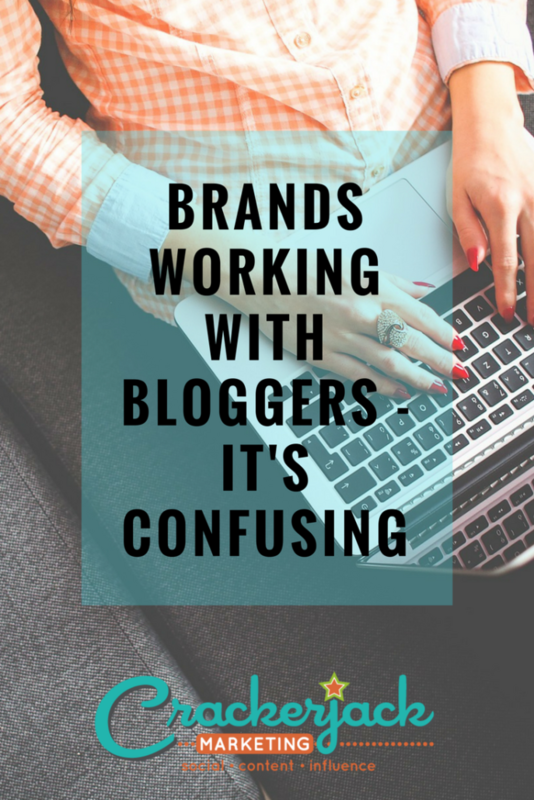 Others have written eloquently about great ways to compensate bloggers without paying for posts and how agencies should evolve. Here’s my advice: Start with the assumption that you’re going to need to compensate bloggers in some way. If you’re PR, make sure your bosses or clients are aware that there will be costs involved in blogger outreach – to compensate bloggers as paid brand ambassadors, to create customized content for your site, or to test your product or service and write a properly disclosed review. Then be pleasantly surprised if your product or service is cool enough that your pitch gets met with a warm editorial reception, without compensation. If you’re advertising/media, don’t expect more than what you pay for. If you’re buying advertising, that’s what you’ll get. If you want bloggers to do other things for you, plan to compensate them accordingly. 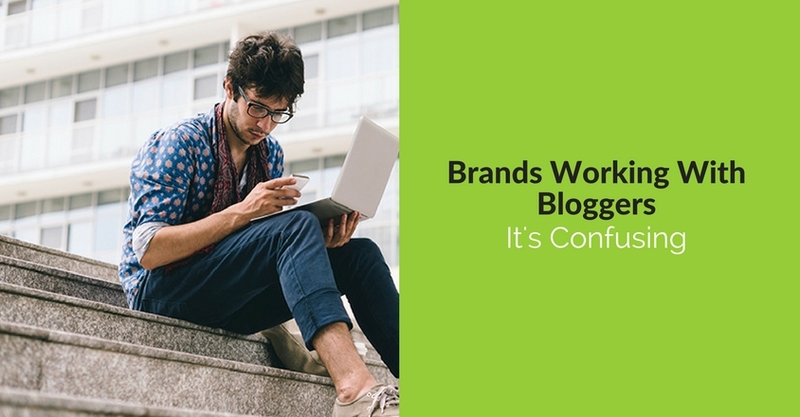 And, brand marketers, put yourself in the bloggers’ shoes. Take the time to communicate with the blogger and understand their motivations. Are they blogging for their community, and just trying to pay the hosting bills? Are they building readership to attract more (and more valuable) paid advertising? Do they have other skills they can bring to the table for you – are they trained marketers themselves who can add a new perspective to your marketing team? 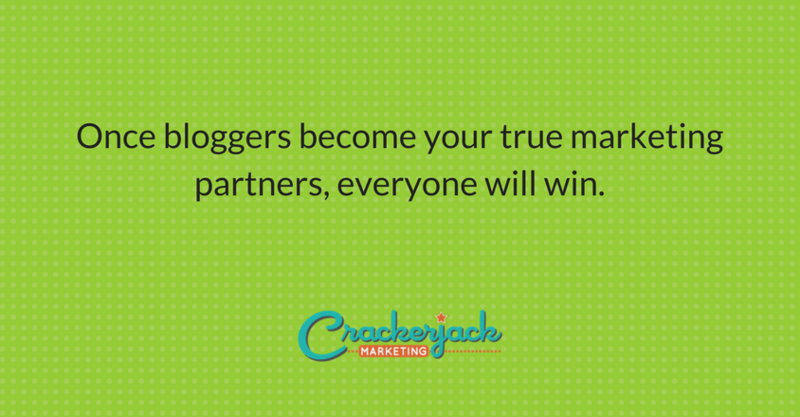 Once bloggers become your true marketing partners, everyone will win.